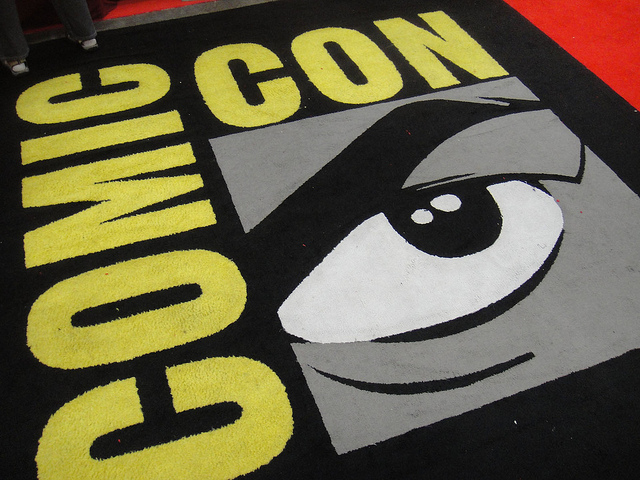 Comic-Con San Diego 2014 invites us to our first panel. 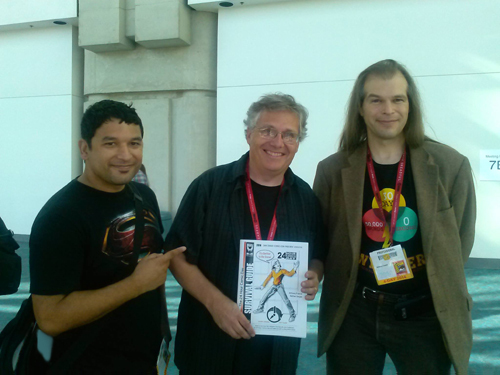 Scott McCloud personally attends our panel! 24-Hour Comics Day will evolve into something new. A copy of our 24HCD - 2014 Survival Guide heads home with Scott. Our first year as official panelists! It's a dream come true. We got invited to attend ComicCon San Diego as official panelists and it's a sign that we are doing something good. This entire week has been full of excitment and new experiences. We've worked really hard to prepare for this and we are going to blow it out of the water! See the official program listing. Of course, nothing worth while comes easy and this wasn't any different. We've realized we have some thing working against us. We aren't listed in the main program where most of the attendees get their information about panels. Our room is nearly underground in a small area that is hard to get to. We are on a dead end hallway and our door doesn't have any signs on it letting people know we are there. What this means is that we ended up having a much lower attendance than we were hoping for. But the people on the panel were awesome, the interaction was popping, and we got to meet Scott McCloud's wife. She pretty much rocks. Then we started talking about how to help 24HCD evolve, to bring in more participants. It's been 10 years and attendanbce is still pretty low. We hit upon the idea to make this a marathon. A hike up Mt. Everest where even getting to base camp can be a huge accomplishment for some.